T-shirts guaranteed only to runners registered by March 9th. Register online through March 22nd at 11:59pm. Register by mail (.pdf) by March 13th. Register race day beginning at 6:30am. 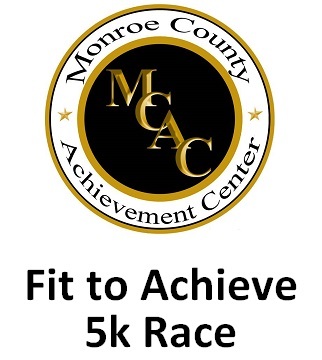 Join the Monroe County Achievement Center in a 5K located in Forsyth, approximately an hour from Atlanta and 30 minutes from Macon. As part of our service learning project for our students, we are promoting a healthy and active lifestyle by encouraging our faculty, staff, students, community, and surrounding counties to exercise and make healthy food choices. For more information, please contact Margie Campbell at campbellmargie@hotmail.com.